While the food processor is running, slowly add the olive oil in a steady small stream. Toss with pasta for a quick sauce, spread onto sliced tomatoes and mozzarella; or spoon over baked potatoes. 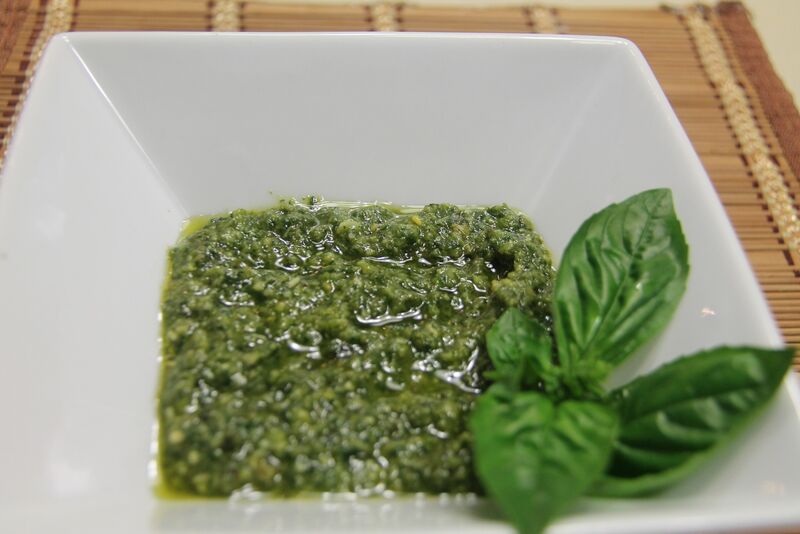 Basil pesto darkens when exposed to air, so to store, cover tightly with plastic wrap making sure the plastic isn’t touching the top of the pesto.